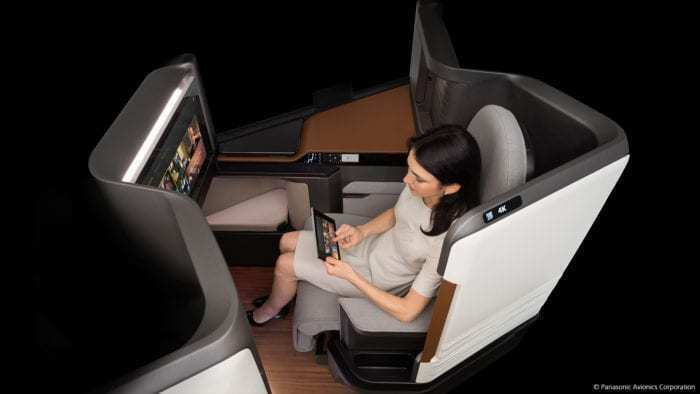 Airbus is planning to launch a new concept in economy class long haul flying. Presented at this year’s Crystal Cabin Awards, the Lower Deck Pax Experience Modules could see coach class passengers gaining access to real beds, as well as chill spaces below deck. What would you give for a good comfortable sleep on your next long haul flight? Perhaps $600? If you would, then you may well be able to thanks to a new invention by Airbus in partnership with Zodiac Aerospace. First touted in 2018, the feasibility of turning the cargo hold into beds for economy travelers has moved on to the next stage. Airbus are presenting their idea in the finals of the Crystal Cabin awards and have indicated they even have interest from a couple of airlines already. If it ever gets off the ground, this concept from Airbus could change the way we fly long haul forever. 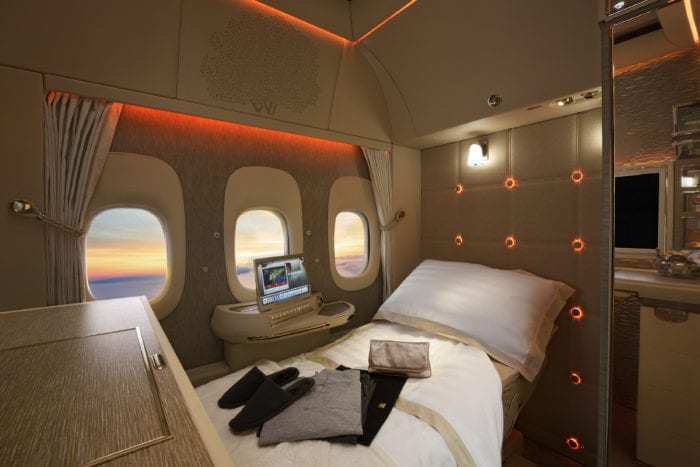 Instead of packing the lower floor of the aircraft with lucrative cargo containers, as is the case on all widebodies right now, there would instead be passenger modules complete with comfortable lounge spaces and bunk beds. 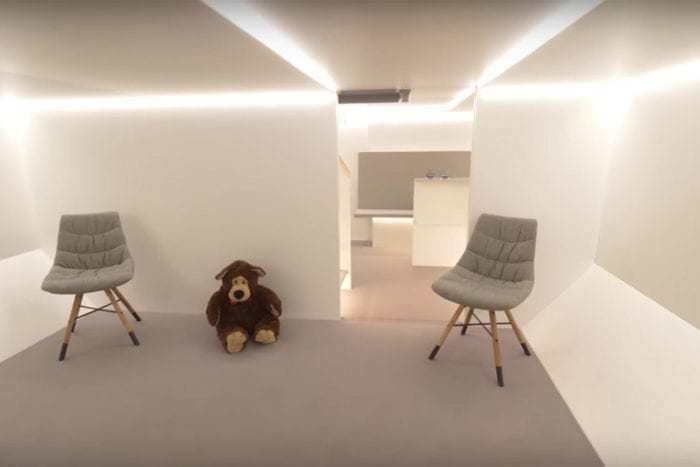 This facility would be exclusively for the use of economy class passengers to enjoy some of the comforts that are usually reserved for passengers at the pointy end of the plane. 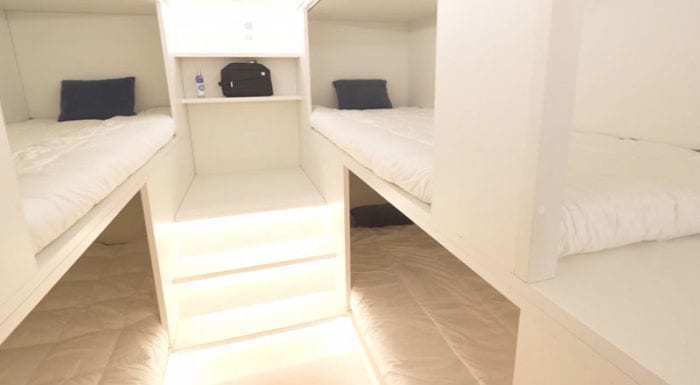 The concept suggests that there could be as many as 32 full sized beds on a standard widebody aircraft, arranged in the style of a sleeper train or perhaps a modern, minimalist hostel. Passengers wouldn’t get to stay there for the whole flight. The idea seems to be to charge in the region of $600 for access for a set portion of the flight, although details on this are somewhat sketchy for now. The idea was first floated in 2018, when Airbus and Zodiac first released concept images of what it might look like. Although there are obviously no windows, it looks to be a cozy space, with subtle lighting and curtains for privacy. Now, the concept is up for a Crystal Cabin Award, with a real potential that we’ll be seeing it on aircraft in the next few years. Airbus say that feasibility is confirmed, and that two customers have already asked for a formal offer for the product. Could one be Qantas, with their forthcoming Project Sunrise megaflight? Their estimated entry into service is 2021 – 22 according to their presentation; we can’t wait to see if it comes about for real! Hosted in Hamburg, Germany, the Crystal Cabin Awards are an annual event showcasing the best in new cabin products. Not all the products displayed at the awards come to fruition, but they do give some insight into what we could be seeing on aircraft in the coming years. This year’s event had a bumper crop of entries, with more than 100 submissions in the eight categories across the show. These were slimmed down to a shortlist of 24 finalists, with the winners being announced later this week at the Aircraft Interiors Expo. The eight categories for innovation include Cabin Concepts, Cabin Systems, IFEC, Greener Cabin, Health, Safety and Environment, Material & Components, Passenger Comfort Hardware, University, and Visionary Concepts. Emirates First Class Fully Enclosed Suites: In partnership with The Boeing Company, Collins Aerospace, Jacques Pierrejean Design studio, Mercedes-Benz, Panasonic and Teague, Emirates are presenting their suites for the awards, complete with virtual windows for middle suites and video calls from passengers to crew. Safran Essential Business Class: Focusing on efficiency and sustainability, Safran have developed a lighter, less bulky business class seat, reliant on innovative cushion structures instead of heavy mechanical components. Sounds boring, but with 25% less weight and 20% more space for the passenger, it could do well. The Skycouch: A concept from Air New Zealand, they’ve further improved their foldy family bed thing by adding belts and guards to make it suitable for even babies to sleep on. The Low Earth Orbit Satellite: From Global Eagle, this satellite could provide high speed internet access for passengers all over the world, even in places where ground based connections are patchy. Lumina: From KYDEX, this mood lighting technology uses thermoplastic panels in the cabin to provide ambient lighting in a new and interesting way. Active noise control: Panasonic want to make noise cancelling headphones a thing of the past with their new business class seats. The seat itself can apparently shut out cabin and engine noise, replacing it with calming music or even birdsong, accompanied by appropriate lighting. 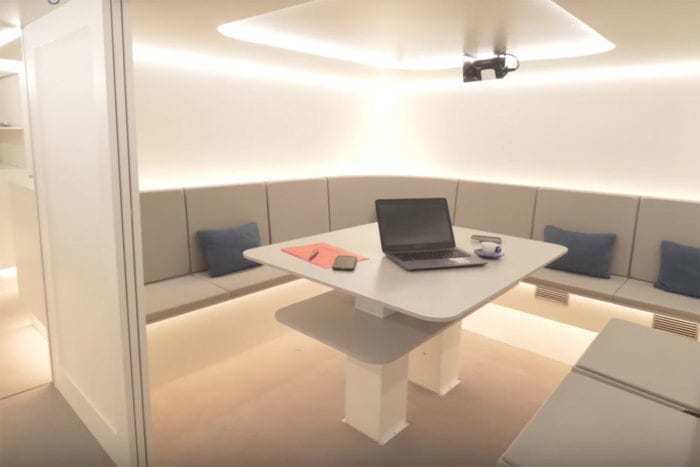 Ultraflex zone: In the ‘visionary concepts’ category, AIM Altitude have developed a multi-use area where passengers of all classes can relax in lounge chairs, work at a proper desk and help themselves to the snack bar. There are just a handful of the amazing innovations vying for the top spots at the awards this year. Results will be revealed tomorrow, 2nd April, and Simple Flying will be sure to keep you updated with the details of all the winners. This is not actually happening. Airlines will not give up the cargo room. If someone wants to spend an extra $600 a flight, they can do premium economy or even business class if they time the purchase correctly. If there was a demand for this, the A380 wouldn’t be going away. Cargo capacity are less valuble than you think. Most Transatlantic flights for example has less than half their cargo hold used due to the intense competition and abundance of carriers flying on the same route. Also, Long haul low cost carriers like AirAsiaX, Scoot and Jetstar has very minimal cargo volume as their business models focus on passanger travel. Converting the cargo hold into bunk beds can increase their revenue or even offer additional seating capacity. Likewise Ultra long haul flights such as Singapore-Newark and London-Perth basically have empty cargo hold as these flights are weight limited and cannot carry additional cargo. Converting these unused cargo hold into an on-board lounge can greatly increase the value and satisfaction of the flight service. We know from emirates, their sky lounge onboard their A380 was a big hit. Above are just some examples and there are many more examples to show why this concept would take off. One embedded link goes to a July 2018 article and another concept discussion.